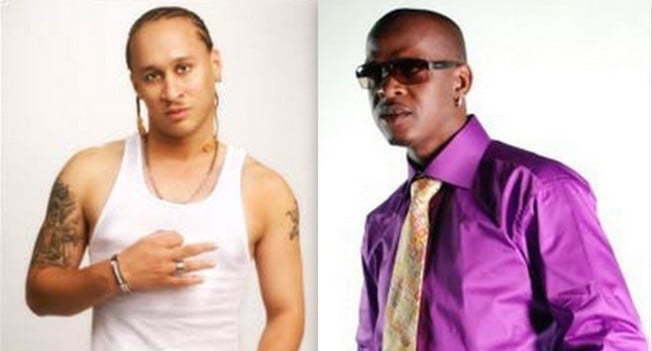 Dancehall veteran Red Rat has took to social media to blast Mr. Vegas while explaining their long standing beef. The melee started last weekend when Rat was performing at Irie Jam Anniversary in NYC. The “Bruk It Down” deejay was billed to performed after Red Rat. In the video clip below you can see Mr. Vegas taking the stage while Red Rat was performing and then tried to take the microphone but was shun by Rat who then called on one of his upcoming female artists on stage. “Red Rat you going on like it’s not music you doing like your coming on the stage to war,” Vegas said. Rat, who has had issues in the past with MV, posted a video on YouTube explaining his actions and why they are having beef. “When I was doing ‘Charlene have pretty car eyes’ I didn’t know that Mr. Vegas was beside me, so after the people say ‘Charlene have pretty car eye’ I turned and said pull up because I am going to call on Paskel that was when Mr Vegas hold on to my hand so I flashed him off… we are not friends so why are you holding on to my hands,” Rat said.